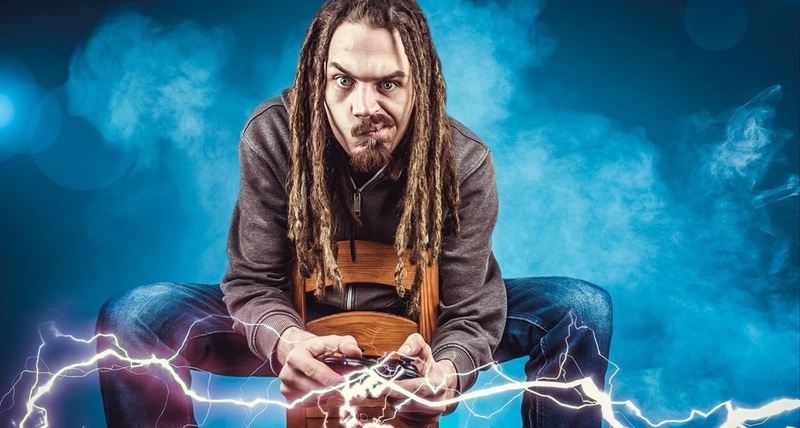 The video game industry is bigger and more connected now than it has ever been before, with in-game communities a staple of online gaming and social media used as a major tool to get fans involved. Given all of this, new technologies including augmented reality (AR) and virtual reality (VR) are adding value to video games for the players and in turn, the developers. Blockchain technology is one of these new technologies, and although it is contemporary to the video game industry, it is beginning to gain a lot of traction amongst developers. With the video game industry growing exponentially faster than expected and proposed to rise to $180.1 billion in revenues by 2021 according to market research group Newzoo, it is no surprise that developers are looking at new and exciting ways to attract new players and engage existing ones. As the industry has grown, online games have attracted players of all demographics and occupations and it is becoming clearer that video games are no longer considered a toy but are seen as a form of entertainment, to some, even as a form of art. This was evident to the team at GigLabs when they decided to develop CryptoRome. When most people think of blockchain, their first thought is Bitcoin, and although it is true that it was initially invented in 2008 to serve as the public transaction ledger of the cryptocurrency Bitcoin, the design of the underlying technology has been inspiring a multitude of other applications, and blockchains that are readable by the public. Private blockchains have been proposed for businesses in a broad range of industries including, agriculture, healthcare, and finance as well as online gaming. A blockchain can be thought of as a growing list of records, called blocks, linked in a chain using cryptography. Each block contains a cryptographic hash of the previous block in the chain, transaction data, and a timestamp. A blockchain is designed to be resistant to modification and tampering of data of any kind within each block. It is an open distributed ledger (database) which can record transactions between two parties efficiently and in a verifiable and permanent manner. The game is free to play on a browser or on mobile through their official website. Some may liken this description to a rehash of Sid Meier’s Civilization – a single or multiplayer, turn-based strategy game which has been around for several decades, originally developed for MS-DOS run on the PC platform. The main difference, however, is that CryptoRome runs entirely on decentralized blockchain technology. Every in-game asset including the land itself is ‘owned’ by the player. Land types are split into Plots, Villages, Towns, and Cities, with each new player receiving a free plot at signup (with some limitations). Each piece of land produces resources which are needed in order to advance in the game. These resources are randomly generated and include resources such as iron mines, wheat farms as well as a barracks to build troops. All resources have ‘real’ value and they can be bought and sold in a resource commodity marketplace found in CryptoRome. Resource rarity increases potential value much like in the real world, with rarity levels starting at Level 1 for resources like Wheat and Wood, all the way up to Level 6, e.g. Marble. The rarest resources appear on less than 1% of all villages. Players can purchase additional land from the CryptoRome Marketplace which also lists a range of rare and limited assets. Players build up assets primarily to take part in battle and conquer land outside of Italia. Battles take place on a daily basis with players able to contribute resources, equipment, and troops. At the end of each day, the results are calculated and updated to reflect the results of battle for all players to see. The top players earn the titles of Caesar or Senator with prizes being awarded daily. In the near future, those daily winners will receive a share of the transaction fees for all transactions made within the CryptoRome Marketplace during that time period, also known as ‘collecting taxes’ within the game world. GigLabs is a software solutions provider with a focus on blockchain technology based in Atlanta. The current team comes from a varied background of software engineering, product development, management, and marketing with a common passion for blockchain and design. Blockchain technology is stirring up a major change in almost every aspect of the online gaming world by tokenizing in-game assets, improving payment methods, and providing increased security to both developers and players. This is just the beginning, as blockchain technology evolves and is adopted by an increasing number of businesses, online gaming will evolve alongside it, bringing a host of new types of games and hastening gaming innovation.